What is the cost (tuition & fees) to attend Cal Poly? Check out the cost of attending Cal Poly and look over the many types of financial aid that are available: https://afd.calpoly.edu/fees/. The process for determining residence for tuition purposes is detailed on the Admissions website: https://admissions.calpoly.edu/applicants/mycalpoly/resinfo.html. If you have any additional questions, please contact the Admissions Office. In general, first time new graduate students who are starting in Fall quarter will register in early August. Programs that pay state tuition, which are the majority of our graduate programs, will register through CPReg on your Cal Poly portal: https://registrar.calpoly.edu/registration-overview. What courses should I register for during my first quarter? Contact your Graduate Coordinator/Director to discuss the courses you should take in your first quarter. You can find your Graduate Coordinator’s contact info on the Graduate Education website: http://grad.calpoly.edu/about/coordinators.html. It is also advisable to review your curriculum requirements detailed in the Cal Poly Catalog: http://www.catalog.calpoly.edu/ . Will there be a new graduate student orientation? The Graduate Education Office will host a new graduate student orientation prior to the beginning of the Fall quarter. The Fall 2019 orientation will take place on September 18, 2019 (the day before classes begin). Please look for an RSVP email in your Cal Poly email account in early August. What is AlcoholEdu/Haven training, and am I required to complete it? All students at Cal Poly, including graduate students, are required to complete mandatory AlcoholEdu/Haven training before beginning their courses. Application deadlines by program can be found at the following site: http://admissions.calpoly.edu/applicants/graduate/deadlines.html. Make sure you complete all of the required information on time; send your transcripts directly from the institution granting your Bachelor’s degree to the Cal Poly Admissions Office. On the Cal State Apply application in the Academic History section, do I need to list all of the undergraduate courses I have taken? Graduate applicants will only enter classes manually that are in progress, or classes that you plan to complete before you receive your Bachelor’s degree. You will NOT need to enter coursework manually for any courses that have already completed towards your Bachelor’s degree and are listed on your transcript. You should have an official set of transcripts sent to the Cal Poly Admissions Office. Do not send transcripts to the Graduate Education Office, Graduate Program Coordinator/Director, or your program’s College or Department’s Office. Your transcripts must be received by the Cal Poly Admissions Office by your program’s application deadline.Check your MyCalPoly portal (Check List) to verify if the university has received your transcripts. For Winter 2019 and Spring 2019 applicants ONLY, you will also need to upload an un-official copy of your transcripts to your Cal State Apply application. Most programs require you to complete the GRE General Test. Please have your test scores (Quantitative, Verbal, & Writing) sent to Cal Poly (Institutional Code 4038). Some programs have been granted an exception and do not require the GRE; please check for your program requirements: http://grad.calpoly.edu/program/find.html. GRE scores are valid for 5-years. Your test scores must be received by Cal Poly by your program’s application deadline. Also note that if your Bachelor’s degree overall GPA is lower than 2.5, you MUST complete the GRE. To be considered for admittance, you must obtain a score at or above the 50-perentile level for Quantitative, Verbal, and Writing. Do I have to take the GRE if I completed my undergraduate degree at Cal Poly? Normally, students who are currently matriculated at Cal Poly or completed their undergraduate degree at Cal Poly do not need to take the GRE. However, some programs do require all applicants to take the GRE; contact your Graduate Coordinator/Director to determine the specific requirements of your program. What do I do if my undergraduate overall GPA is 2.5 or lower? For your application to be considered for admittance, you must take the GRE and score at the 50-precentile or higher in all three categories: Quantitative, Verbal, and Writing. Your GRE results must be received by the Cal Poly Admissions Office by your program’s application deadline. You should also discuss your academic standing with your Graduate Coordinator/Director, develop a formal study plan, and research any prerequisite courses that will enable you to succeed at Cal Poly. Cal Poly requires a 3.0 in your formal study plan in order for you to be awarded a Master’s degree. Your Graduate Coordinator/Director can provide the best feedback on how well your qualifications fit their program’s requirements and just how many students they will be admitting. Please keep in mind that even if a Graduate Coordinator/Director recommends you for admission, you must still meet all of the University and California State University requirements. All final admissions decisions are made by the Dean of Graduate Education. You can be admitted any time after your application is COMPLETE and all of your transcripts, test scores, and letters of recommendation are received by the Cal Poly Admissions Office. Some program Coordinators/Directors make recommendations on a rolling-basis, and others wait until all applications are received (application deadline) to make recommendations. Once a recommendation is made by your program’s Graduate Coordinator/Director and IF ALL of your documentation is received by the Cal Poly Admissions Office (check your To-Do List on your Portal), then it typically takes 10-12 working days to process your application. You will receive an email from the Cal Poly Admissions Office signed by the Dean of Graduate Education when an official decision has been made. All Letters of Recommendation (LOR) must be submitted electronically through the Cal State Apply application (Quadrant #4 – Program Materials /Evaluations) portal. You should identify the individuals who will send in your LORs. Your recommender’s LORs must be uploaded electronically to your application. Do not send LORs directly to Cal Poly’s Admissions Office, Graduate Education Office, Graduate Coordinator/Director, or College/Department Offices. What should I do if I do NOT intend to attend Cal Poly? If you no longer plan to attend Cal Poly, please send an email to admissions@calpoly.edu indicating that you wish to officially withdraw your application. What courses are required in my program? You should contact you Graduate Program Coordinator/Director with any questions regarding the courses that are part of your program and what prerequisites might be required. You can find contact information for your program’s Graduate Coordinator/Director on the Graduate Education website: http://grad.calpoly.edu/about/coordinators.html. What is the culminating event for my program: thesis, project, or exam? You should contact you Graduate Program Coordinator/Director with any questions regarding the culminating event requirements for your program. You can find contact information for your program’s Coordinator/Director on the Graduate Education website: http://grad.calpoly.edu/about/coordinators.html. I have questions regarding my academic background and if I am qualified for a graduate program at Cal Poly. Would I need to take any prerequisite courses? Please contact your Graduate Coordinator/Director with any questions regarding prerequisites courses that you might be required to take in order to be considered for acceptance. When does Cal Poly admit international students? If a graduate program is open for Fall, Winter, or Spring applications, then we admit international students for any quarter. The Fall International Application deadlines are the same as those listed on the Cal Poly Admissions website and vary by program. For Winter, the application deadline for international students is September 1, and the Spring application deadline is December 1. What type of financial aid do you offer specifically for international students? The Cal Poly International Center provides a list of financial resources including scholarships, grants, awards, and loans for international students to explore on their website: http://www.international.calpoly.edu/International/students/financial-resources.html. The Graduate Education Office does offer some non-resident tuition waivers. You can find more information on the Graduate Education website: http://grad.calpoly.edu. All official transcripts must be sent directly to the Cal Poly Admissions Office. You can find more details on the Cal Poly Admissions website: https://admissions.calpoly.edu/applicants/international. Do I need to provide a certified English translation of my transcripts? If any of your education was completed outside of the U.S., unless the transcript is in English, your official transcripts must be submitted in the native language and accompanied by a certified English translation. The translator must be certified by one of the following: Institute for International Education (IIE), Amideast, Saudi Arabian Education Mission, United States embassy or consulate. Directions can be found on the following website: https://admissions.calpoly.edu/applicants/graduate/transcripts.html. Is my institution considered accredited by Cal Poly? Your international university must be recognized by the International Association of Universities in order to be considered for admission at Cal Poly: https://admissions.calpoly.edu/applicants/international/evaluation.html. Should I take the TOEFL or IELTS, and what is an acceptable score? You can take either the TOEFL (Test of English as a Foreign Language) or IELTS (International English Language Testing System) to satisfy the English language proficiency requirement of Cal Poly. Cal Poly's institution code is 4038. You must have taken either test within the last 2 years; for TOEFL, the minimum acceptable score is 80 (internet based); for IELTS, a minimum score of 6.5 is required. Can the GRE substitute for TOEFL? No. A GRE score cannot satisfy the TOEFL requirement. What other steps can I take to be granted a language waiver? Please consult the Cal Poly Admissions website for more details: https://admissions.calpoly.edu/applicants/international. For an on-line program, do I need to satisfy the English language requirement? Yes. You must satisfy the English language requirement for any Master’s degree program offered by Cal Poly, no matter what the mode of instruction may be. If I attended a university in the United States and took some courses (through a Study Abroad Program, for example), does that waive my English language requirement? No. A waiver of the TOEFL or IELTS requirement will only be given to applicants who have earned an undergraduate degree from a U.S. institution of higher education. This requirement may be waived if your country of citizenship is listed on the following website: https://admissions.calpoly.edu/applicants/international/toefl_ielts.html. How old can my TOEFL or IELTS scores be and still be acceptable by Cal Poly? What is the process for getting an I-20 VISA issued? Student applicants need to complete the Visa Information Form for Degree Students through the International Center at: http://intlservices.calpoly.edu/?go=VisaInfoForm. If you have additional questions, email intlservices@calpoly.edu. Does Cal Poly accept students from 3-year institutions? How does my GPA get converted to a Cal Poly 4.0 GPA scale? Your transcripts will be automatically evaluated and converted to a Cal Poly 4.0 scale as part of the application process. How do I satisfy the Graduation Writing Requirement? For any questions regarding the Graduation Writing Requirement, please contact the Cal Poly Writing & Rhetoric Center: https://writingcenter.calpoly.edu/content/gwr/index. Once I am admitted, when do I register for classes (state and self-support)? Programs that pay state tuition, which are the majority of our graduate programs, will register through CPReg on your Cal Poly portal (https://registrar.calpoly.edu/registration-overview). Please contact your Graduate Coordinator/Director for any questions regarding prerequisites courses that you might be required to take in order to be considered for acceptance. On my To-Do-List (CP Portal), what is an “International Academic Evaluation”? The requirements for an international academic evaluation are given on the Cal Poly Admissions website: https://admissions.calpoly.edu/applicants/international/evaluation.html. If you have any further questions, contact: international-admissions@calpoly.edu. What type of housing is available for international students? Contact the University Housing Office for on-campus information: http://www.housing.calpoly.edu/. For off-campus housing, visit the International Center website for some helpful ideas: http://www.international.calpoly.edu/students/new/housing.html. 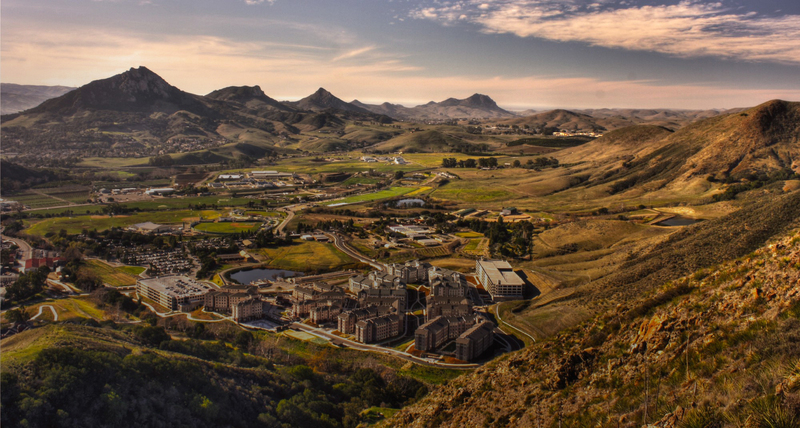 In general, there is a shortage of affordable housing in San Luis Obispo, CA, and on-campus housing is reserved mainly for undergraduates. You should use the information found on the websites listed above to find and secure housing as soon as possible. As an international student, who can I connect with once I arrive on campus? Once you arrive in SLO, it would be best to contact both your Graduate Coordinator/Director and the International Center and setup an appointment to meet with them and get acquainted with our campus. The International Center staff is available to meet with international graduate students once they arrive on campus. Students may come by the International Center in Building 52, Room E32 for a check-in meeting with advisors. The International Center also offers opportunities for new international students to connect with domestic and international students through the International Welcome Ambassadors Program: http://international.calpoly.edu/International/students/ambassadors.html. Students can also get involved in the International Club through ASI: http://international.calpoly.edu/International/students/internationalclub.html. Finally, students can connect with Cal Poly faculty and staff through the International Poly Hosts Program: http://international.calpoly.edu/International/students/iphp.html..
Do international students have orientation programs? Yes. There is mandatory online orientation and an in-person orientation every quarter. Visit the following site for more information: http://international.calpoly.edu/students/new/orientation.html. What types of financial support are available to me as a graduate student? We have a variety of financial support programs that are specifically geared toward graduate students including Graduate Assistantships, Tuition Waivers (Resident and Non-Resident), Presentation Awards (to help fund Professional Conference costs), Graduate Equity Fellowships (based on financial need), the Diverse Education Scholarship, the California Pre-doctoral Program, and the CSU Chancellor’s Doctoral Incentive Program. The Graduate Education Office recommends that you also visit Cal Poly’s Financial Aid website: https://financialaid.calpoly.edu/. Who can help me to find housing in SLO? If you are beginning your graduate program in Fall (September), you should begin looking for housing months in advance.